When people hear we are vegans they often ask me how I feed my children, or say, “I could do it for myself, but my family would never go for it!” This blog is the explanation. It is a record of all the wonderful foods and recipes we discover, invent and evolve as a family. But most of all, it is food made into visible love. This week we went apple picking and this morning I put together apple pancakes that were good for all eating plans. I started with whatever gluten free flour was in the cupboard, used the last squash from my garden (a wee little one) as a thickener, and threw in apples. The results were delicious! Sift or shake together the flour, salt, cinnamon and baking powder. Mash together the non-dairy milk with the squash, flax seed mix and optional coconut cream. Combine. Fold in apples, pecans and optional ginger. Cook as you would any pancake on a griddle or large skillet. Serve with maple syrup or just eat them plain! The squash gives them a slightly creamy texture. We continue our Hummus production research—cooking our own every weekend, and eating at Tel Aviv’s finest Hummus joints whenever we visit. 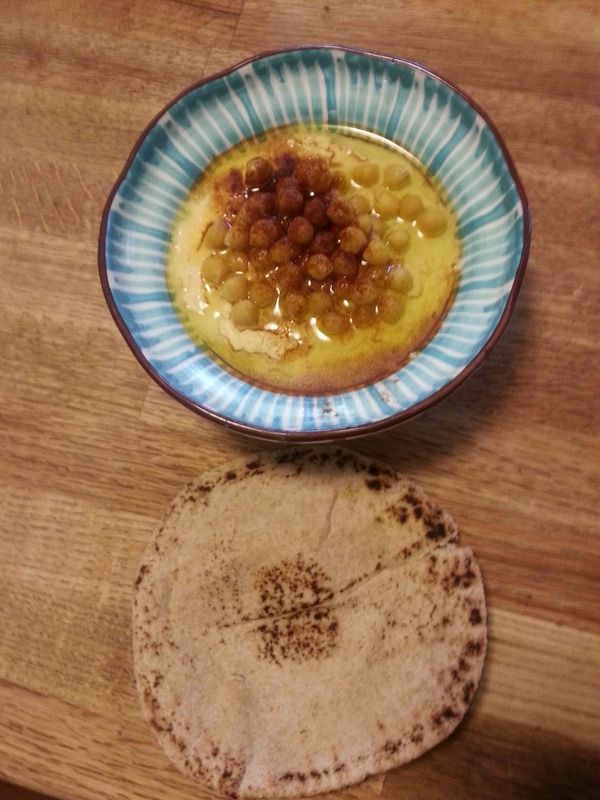 People who sampled this updated Hummus recipe say it rivals any Tel Aviv restaurant! Check the dry hummus carefully. Remove any debris and strange looking beans. Soak in cold water for at least 24 hours. Change the water every several hours. Add the baking soda. Continue to skim the foam as needed. Once the foam stops collecting, add the garlic. Continue to cook until the beans are soft (about 40 minutes, but will vary according to beans). 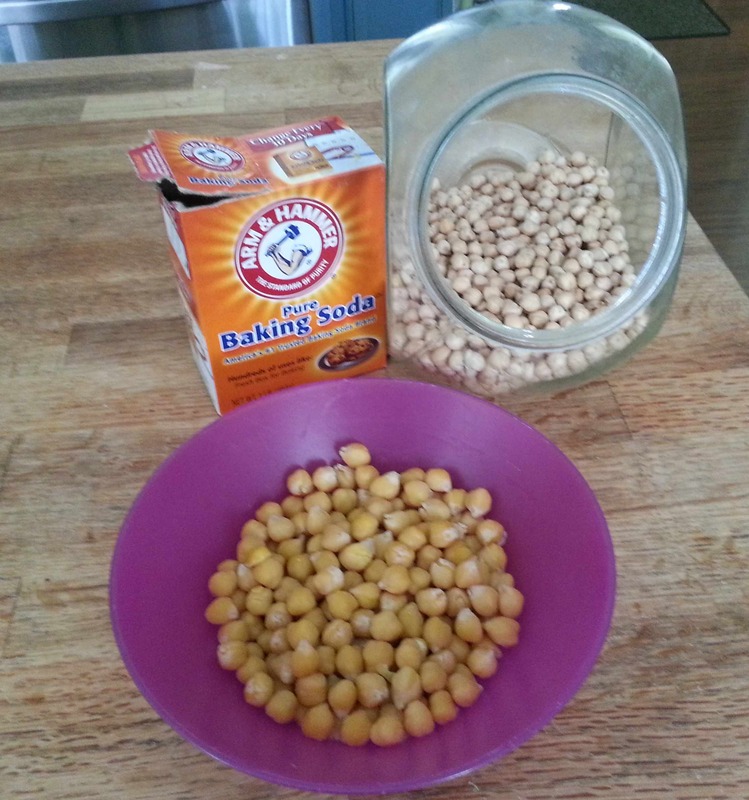 Split the drained, cooked beans evenly into two containers. One should contain all the garlic. 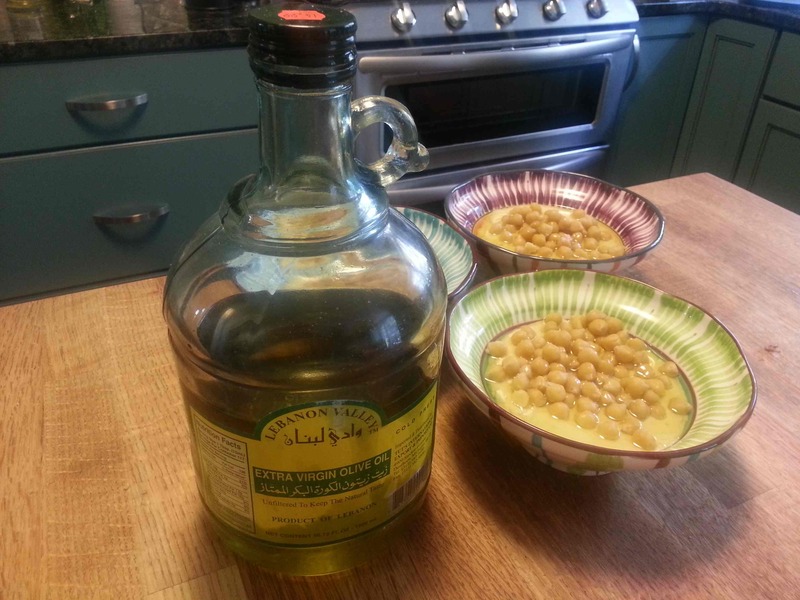 In a blender, combine and blend the tahini, lemon juice, salt, a little cumin, pepper, and 2.5 cups of cooking liquid. Add the beans with the garlic. Blend. 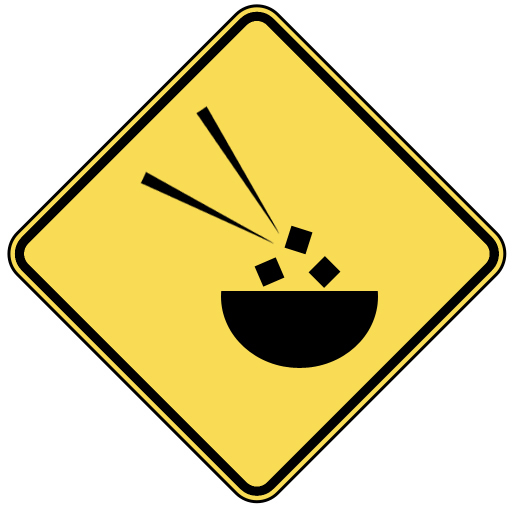 Pour the mixture into bowls. Serve with a little olive oil, Paprika, a little parsley, and optionally some lemon juice, on top. Quick sauté in olive oil of corn cut off the cob, sliced mushrooms, sliced red peppers, salt and red pepper flakes. Set up the sauté first, then as it cooks, prep the salad and steam the asparagus, while occasionally stirring the sauté. The corn dish is unbelievably tasty. 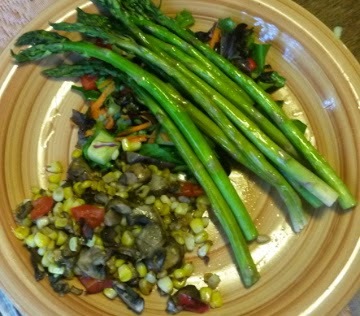 The remainder of the asparagus bunch was left out on a plate in the center of the kitchen butcher block and was completely scarfed up by 3 15-yr-old boys as a snack. A few tweaks of the recipe to “veganize” it for Irad (whole wheat flour, flax seed in place of eggs, rice milk in place of milk), and voilà! Mix dry ingredients together. Fold in the rice milk quickly along with the broccoli. 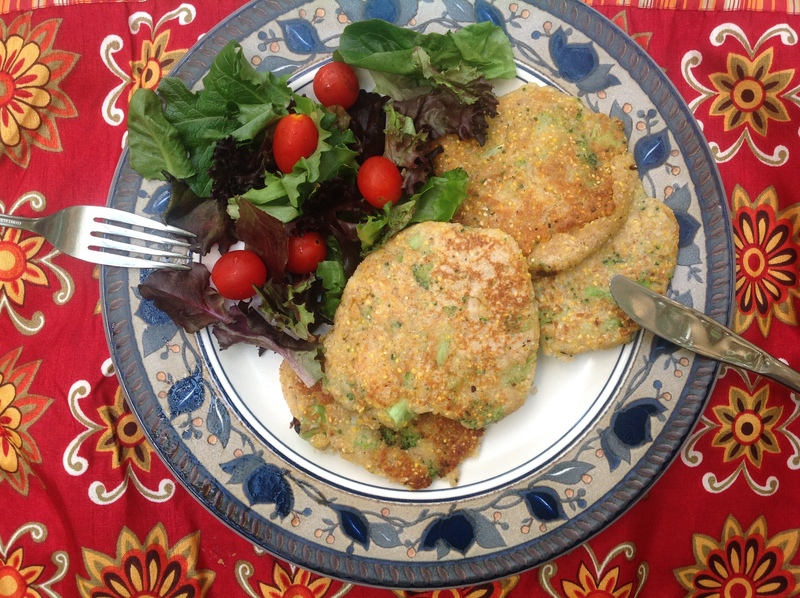 Form the fritters into patties, and fry lightly in pan. Serve immediately with a light salad. 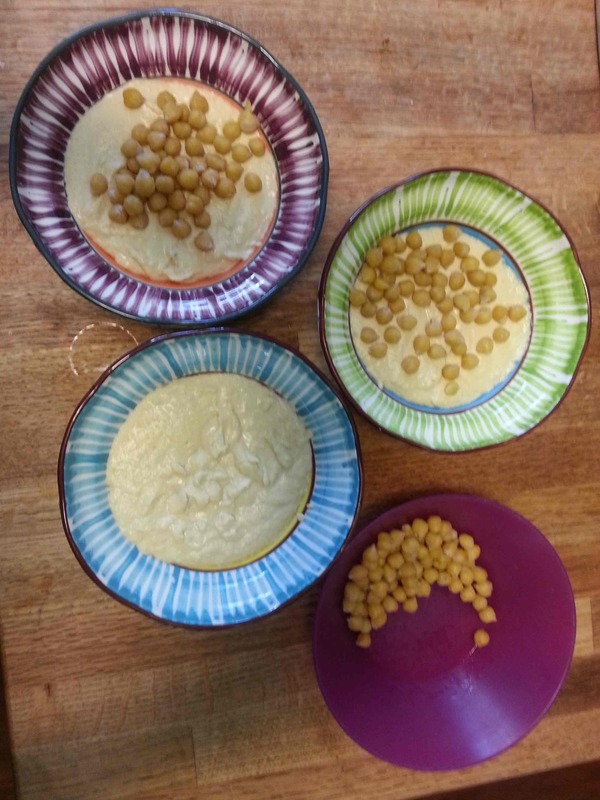 I decided it was time to update our hummus recipe, because we have changed our own recipe over the last few years. 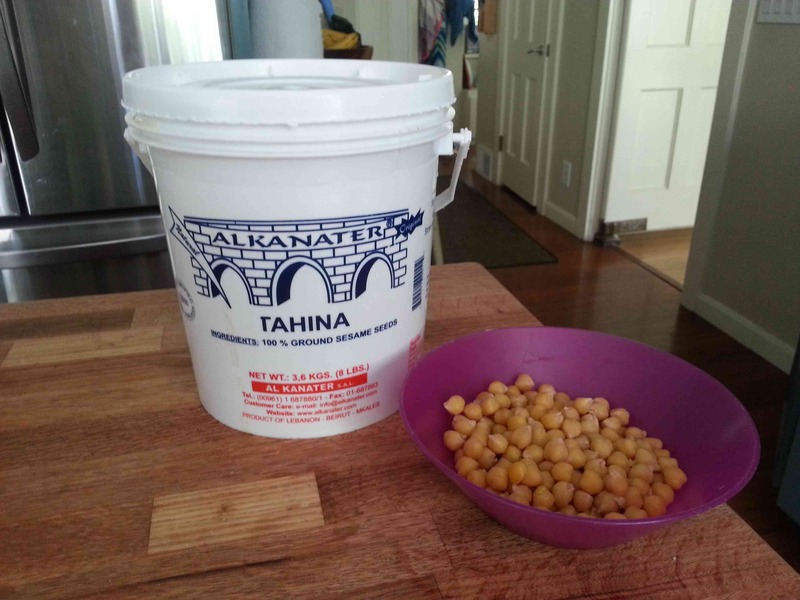 This version does not require a Vita-mix to make your own tahini, but it does require access to a store that sells tahini. The best tahini is usually found at an Arab specialty market, but markets like Whole Foods also sell it. 3. IMPORTANT! The baking soda will cause a stiff foam to collect on top of the boiling water. SKIM THIS FOAM OFF AND DISCARD. This is the magic secret process for good hummus. 9. Add olive oil and the juice of one lemon on top. Sprinkle with Paprika. 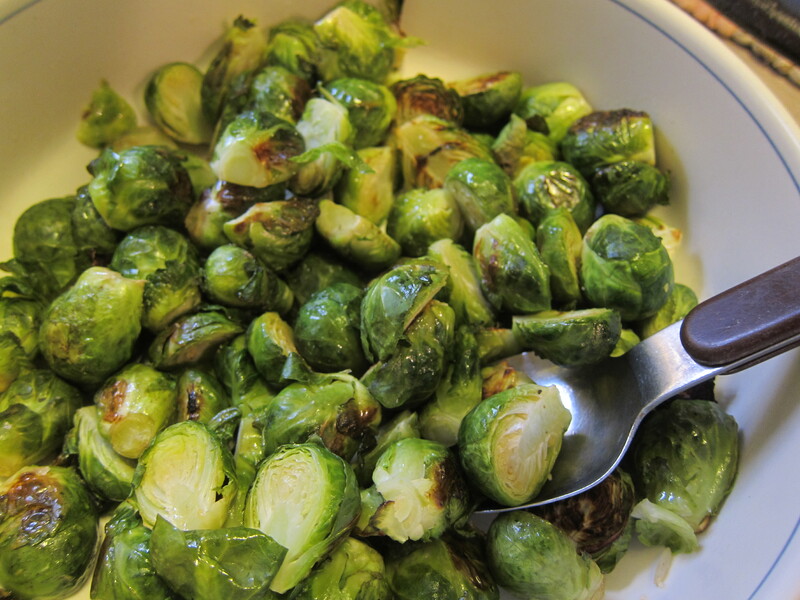 Nothing could be simpler than roasting brussel sprouts. Preheat oven to 425 degrees. Prep brussel sprouts by trimming stem off and slicing in half. Lay them out single layer on a jelly roll pan. Sprinkle the olive oil on to the pan and shake and roll them around to coat them and the pan. Grind salt over the top. Put in heated oven for 10 minutes. Open oven and grab pan (with pot holder!) and shake them around, or flip them with a spatula. Heat another 10 minutes. Serve immediately. I often lay these out right as kids get home from school and are hungry for snacking and… they disappear. This is a salad I learned to make in Israel. Most recipes from Israel are either eastern European in origin, or middle eastern, and this belongs to the former. 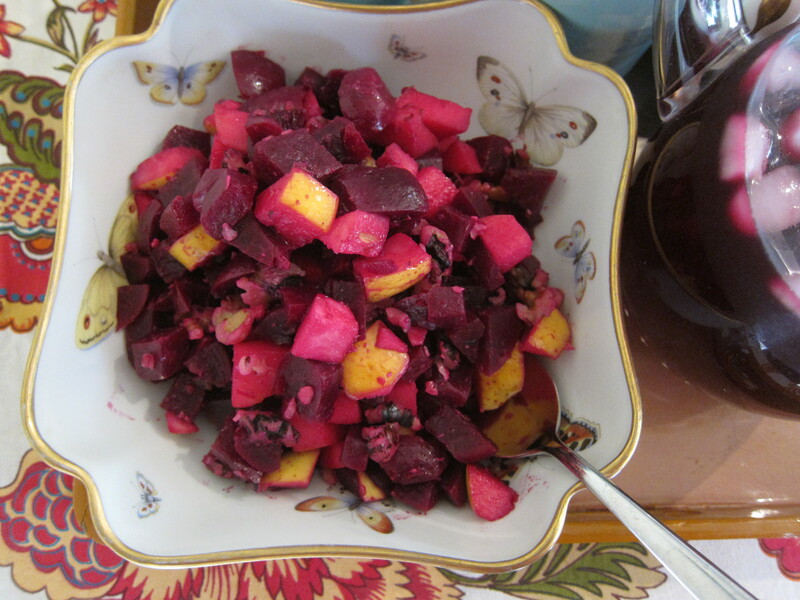 In Israel there are hundreds of ways to prepare beets, and thousands of ways to prepare eggplant. This salad lands on the sweet side of the spectrum. Cube apples and chop walnuts. Mix together with beets, add lemon juice, olive oil and salt (lemon and olive oil and salt is the ubiquitous middle eastern dressing). Chill and serve! 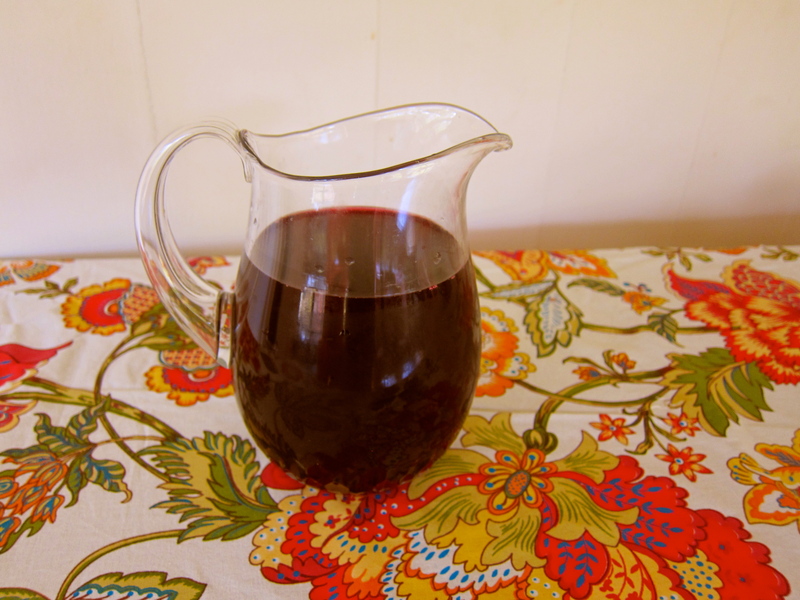 Also in Israel, Borscht is served as a cold drink, not just a soup. Take the reserved cooking water from your beets, mix in juice of 2 lemons and 1/4 cup of sugar. The juice will take on a bright red color. Chill and serve as refreshing drink. Garnish: Often sour cream is added to this. I like it as is, but it is possible to add a vegan tofu sour cream and whip in with whisk.